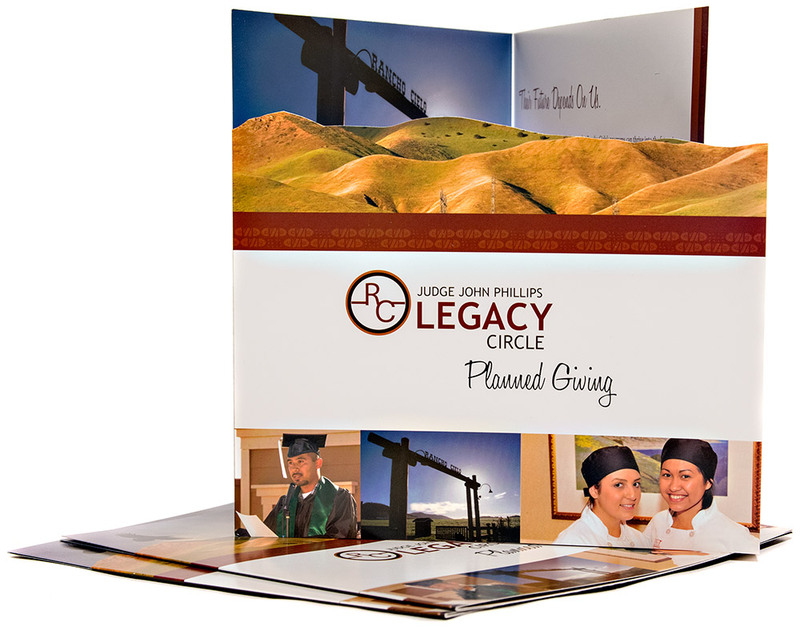 Rancho Cielo Legacy Brochure - The Marketing Department, Inc.
TMD has been honored to work with the non-profit Rancho Cielo program. This critically acclaimed program was started by retired judge John Phillips, to offer at-risk youth the opportunity to learn skills that make them accountable, competent, productive, and responsible members of society. This brochure highlights those successes, and was used to spread the message and increase funding for increasing their reach. Rancho Cielo has continued to reach new heights with their successful programs and marketing.